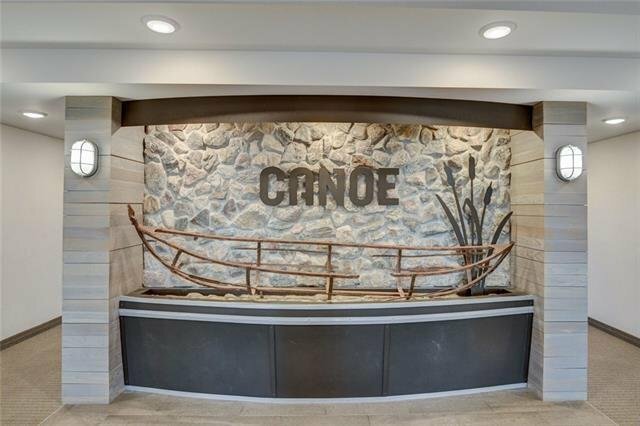 WELCOME HOME to lake living at its finest! 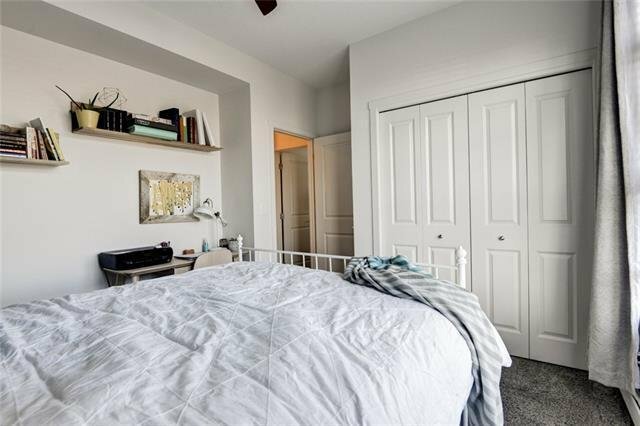 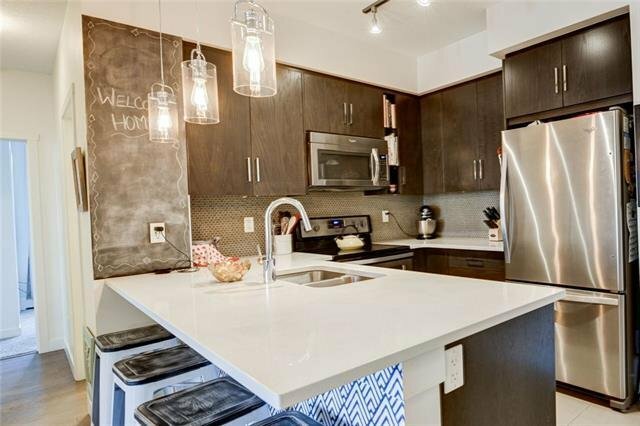 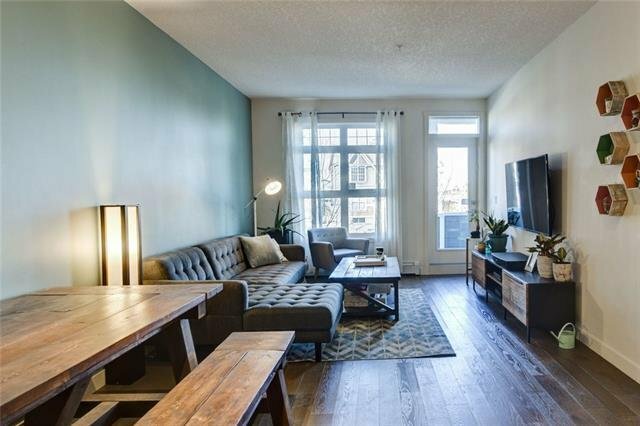 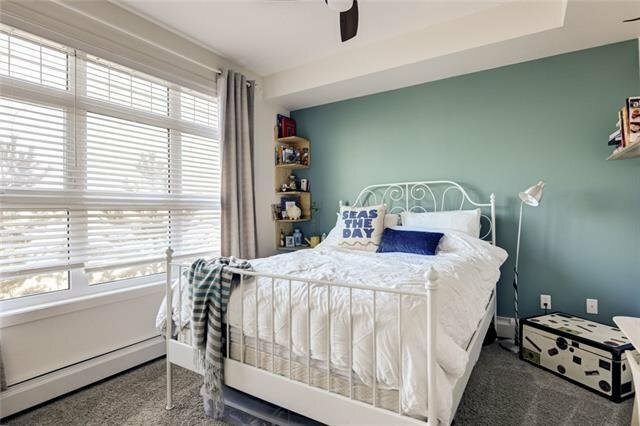 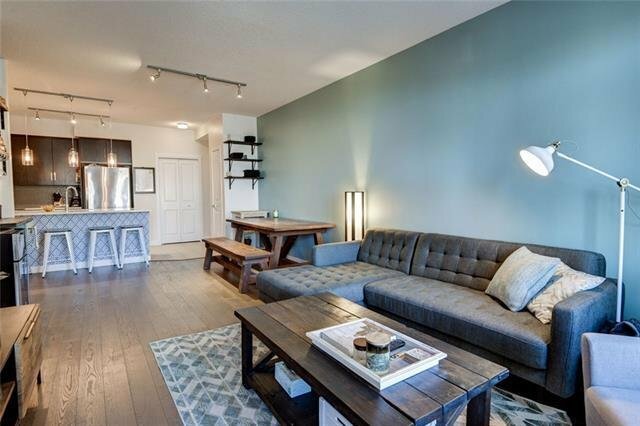 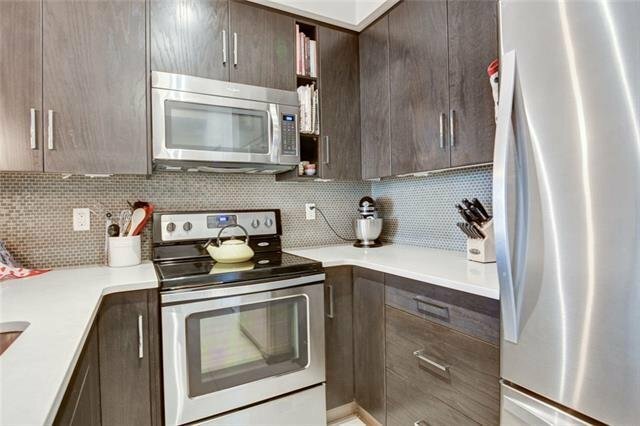 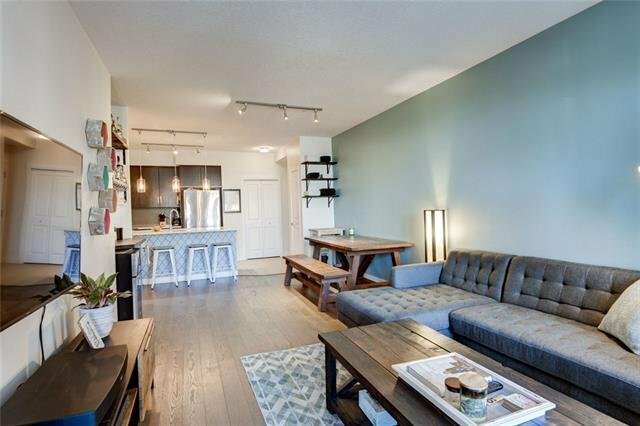 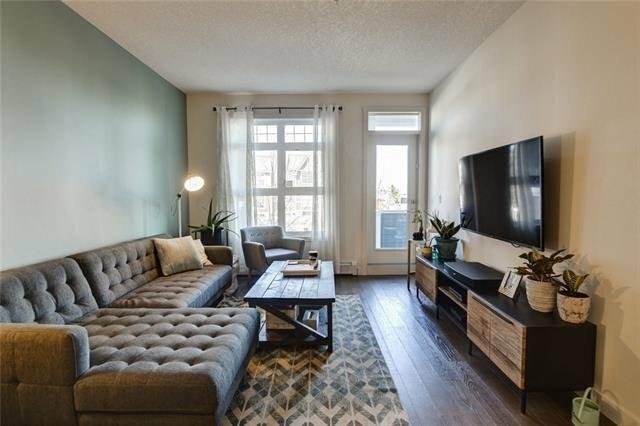 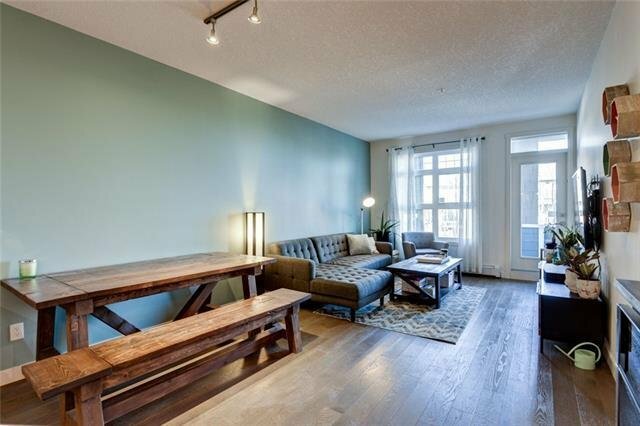 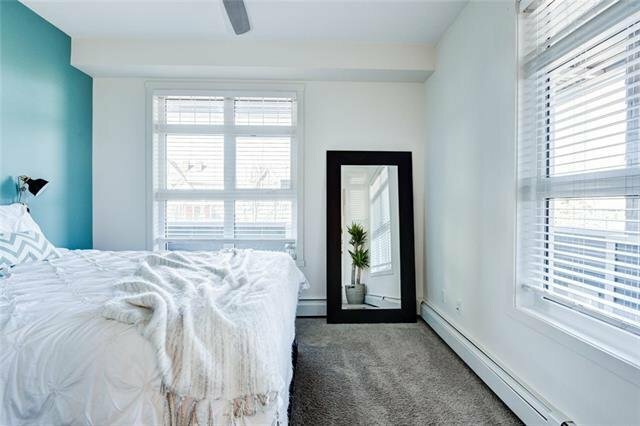 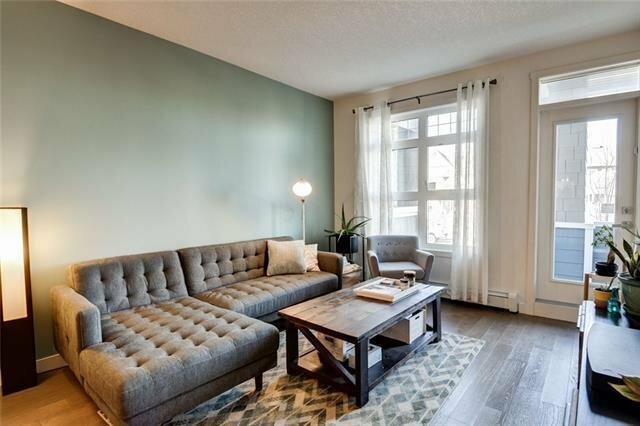 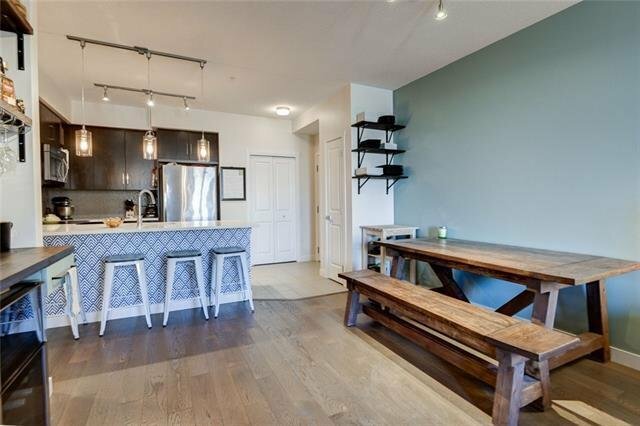 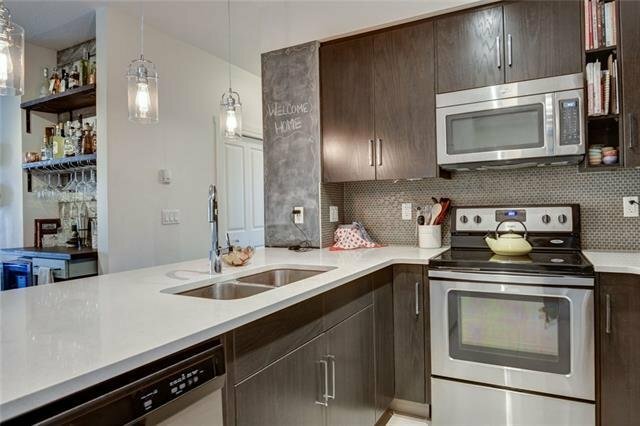 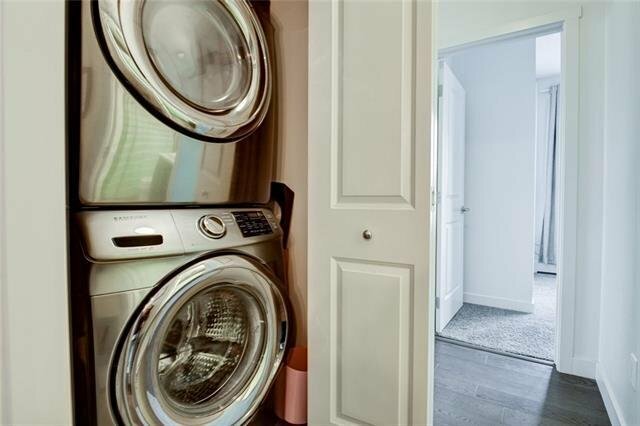 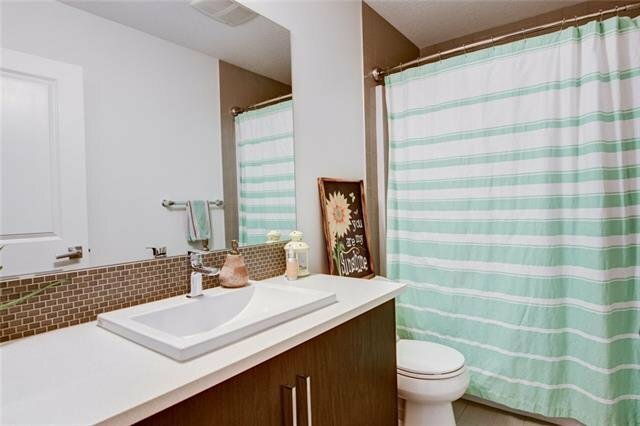 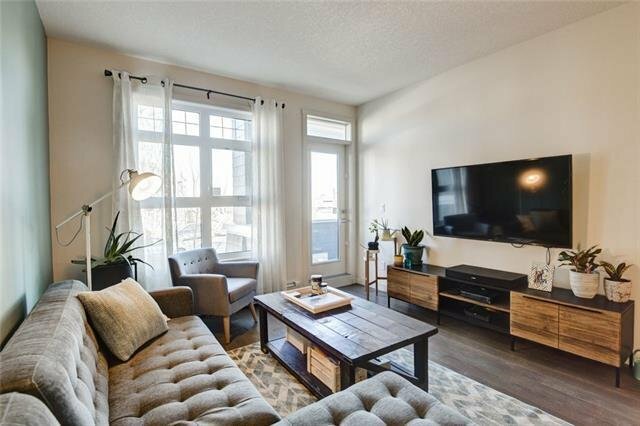 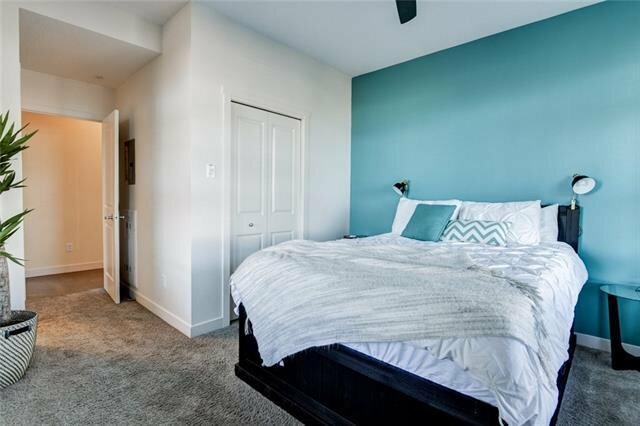 This bright, quiet, and luxurious 2 bed, 2 bath boasts 9 ft ceilings, upgraded stainless steel appliances, and a full size washer and dryer. 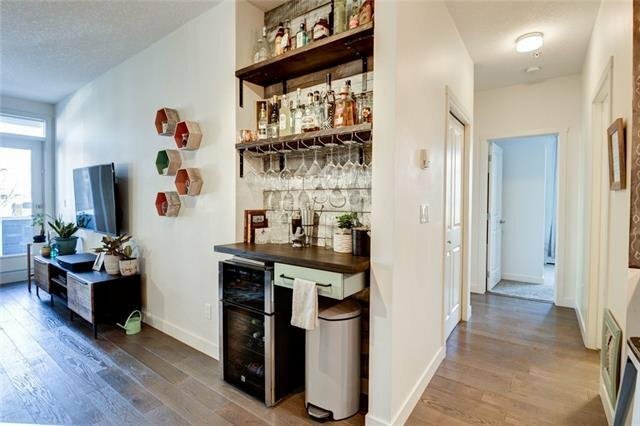 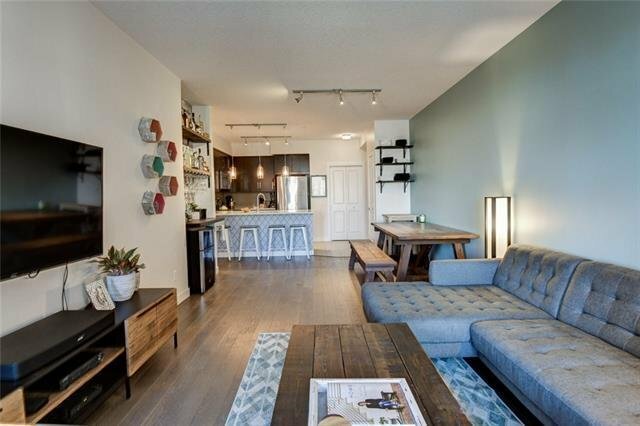 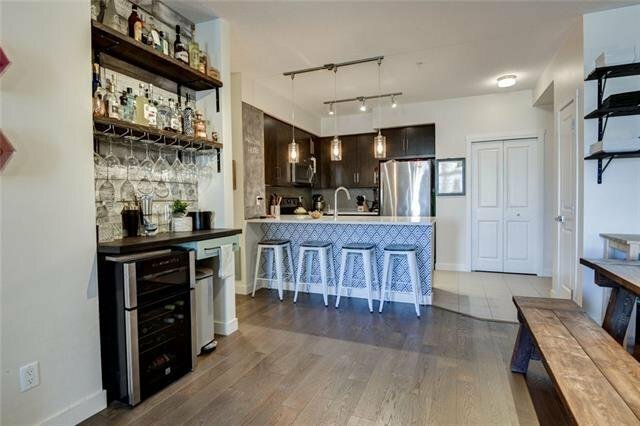 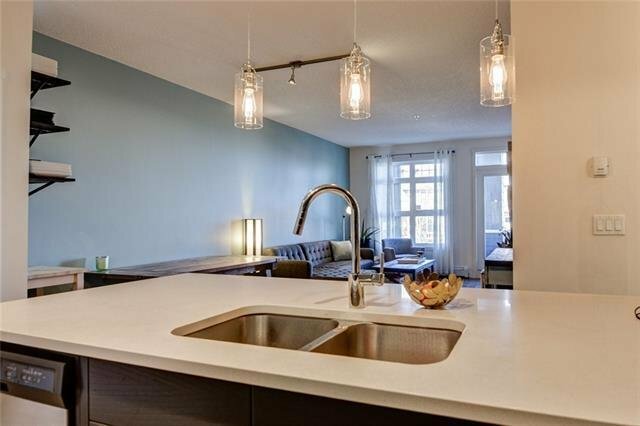 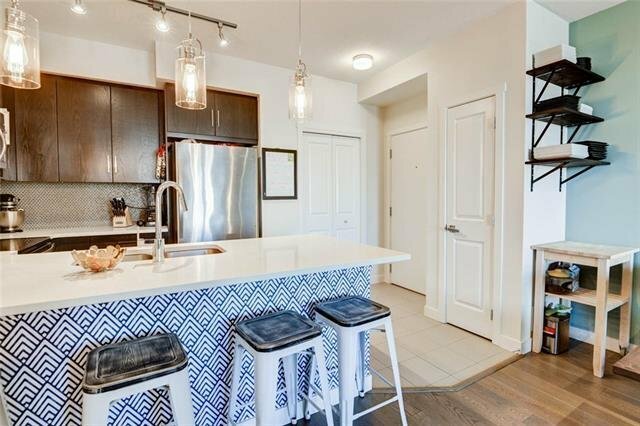 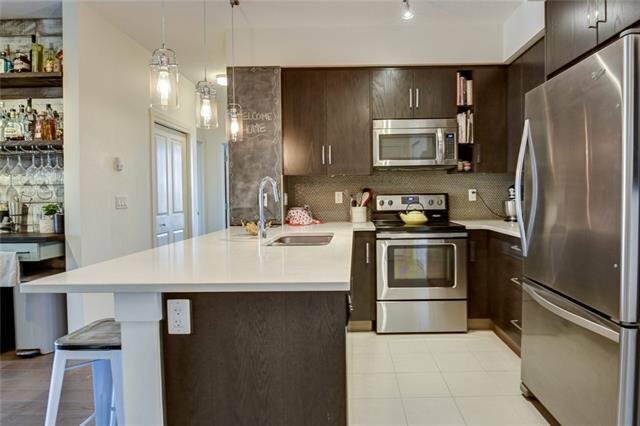 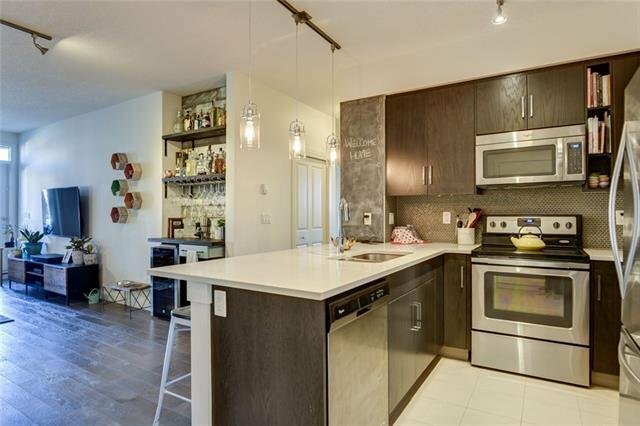 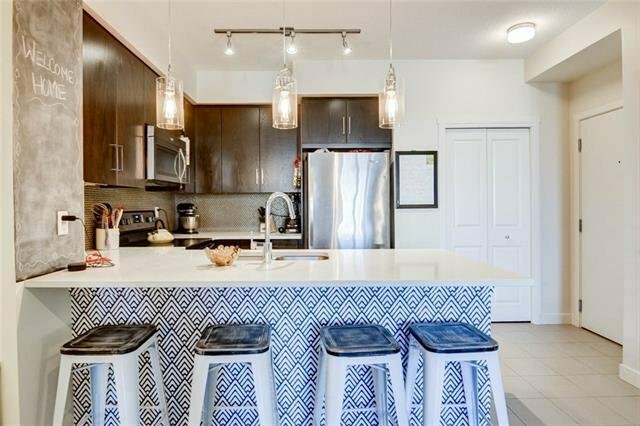 This open concept corner unit is an entertainers dream; gather around the quartz island, mix a drink from your custom built in bar, and play host. 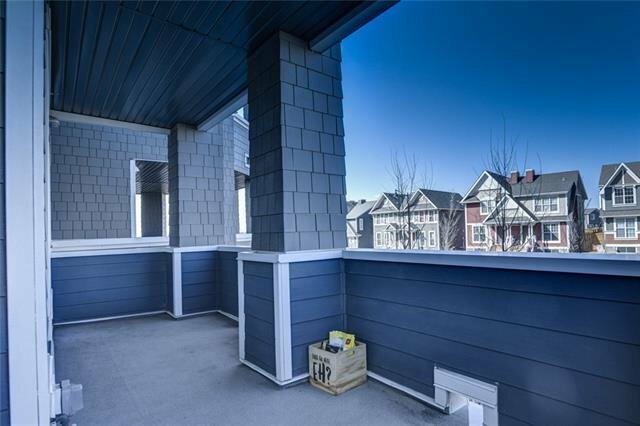 The HUGE wrap-around balcony is perfect for summer BBQ’s. 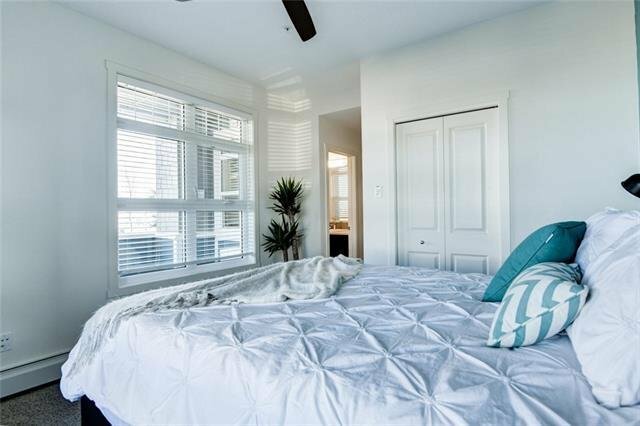 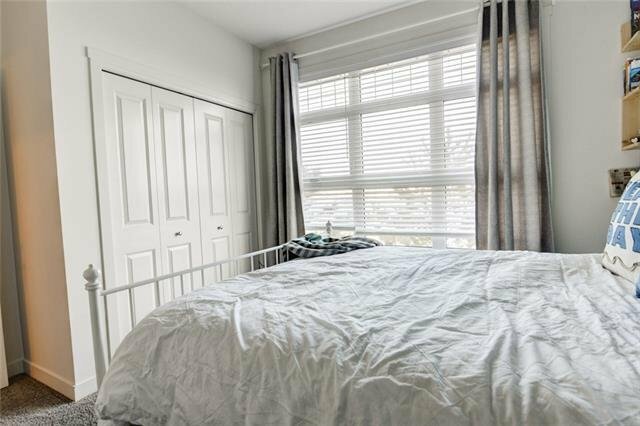 The spacious master bedroom features an en-suite and walk in closet. 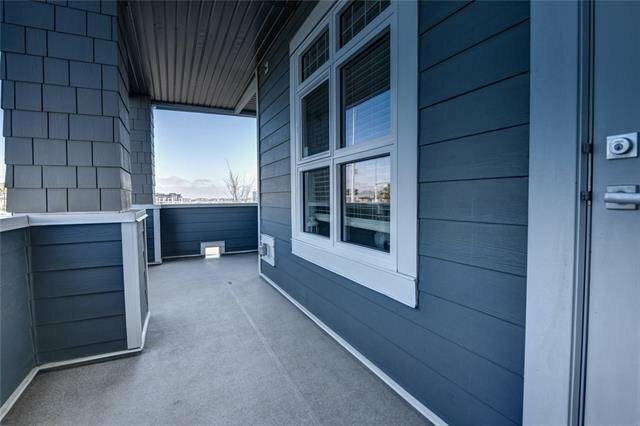 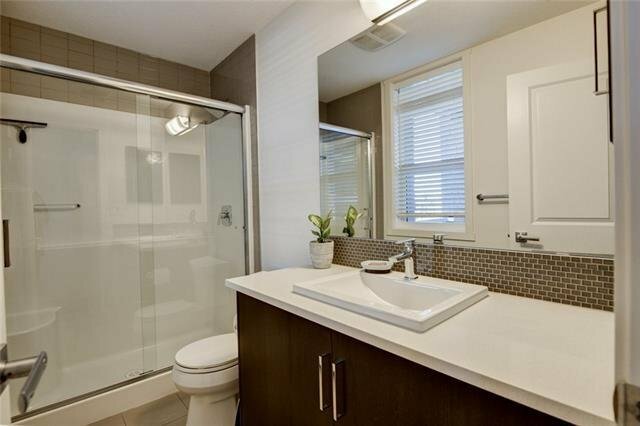 Rich, extremely durable engineered hardwood runs throughout the living space with tile in the kitchen and bathrooms, and plush carpet in the bedrooms. 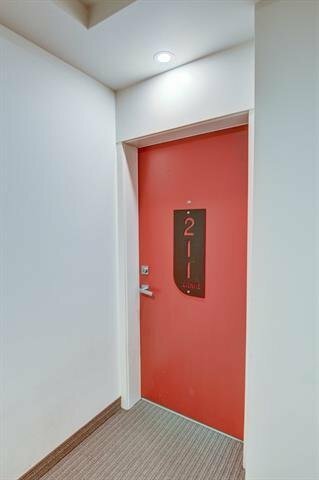 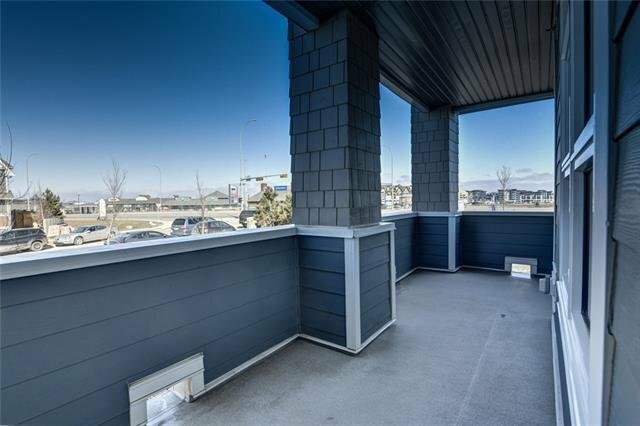 Whether you call this home or an investment, it comes with 2 TITLED PARKING stalls, and is a PET FRIENDLY building. 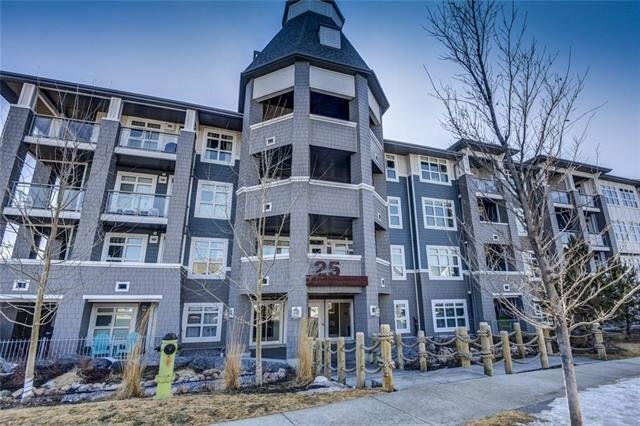 Auburn bay is home to a 43 acre fresh water LAKE, plenty of shops and restaurants, playgrounds, one of Calgary's largest DOG PARKS, trails and pathways, as well as the SOUTH HEALTH CAMPUS HOSPITAL. 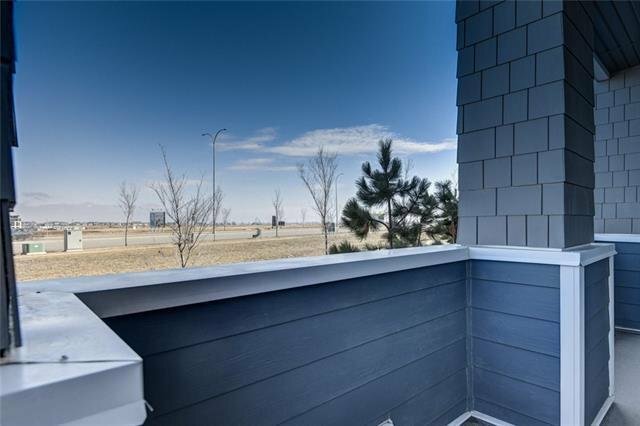 Combine the best of low maintenance with lake living in this beautiful home!